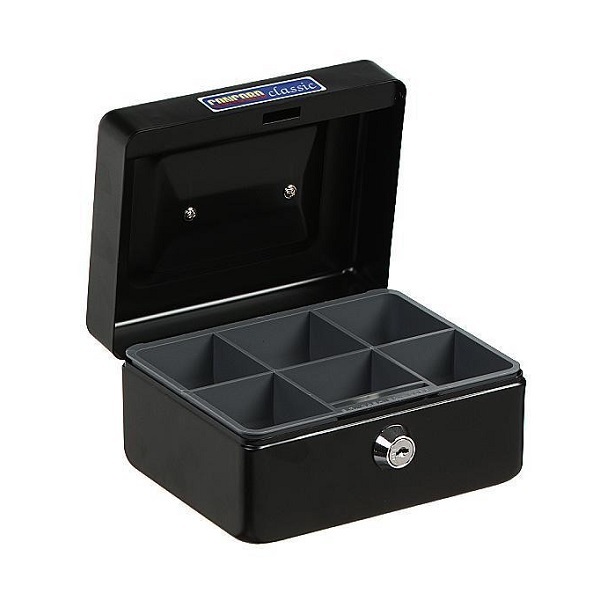 Sturdy steel construction classic cash box with traditional rounded style corners for strength and durability. Fully assembled with a handle that folds neatly into the recess when not in use. Complete with partitioned tray with 6 coin compartments. Features a secure cylinder lock with 2 keys supplied. 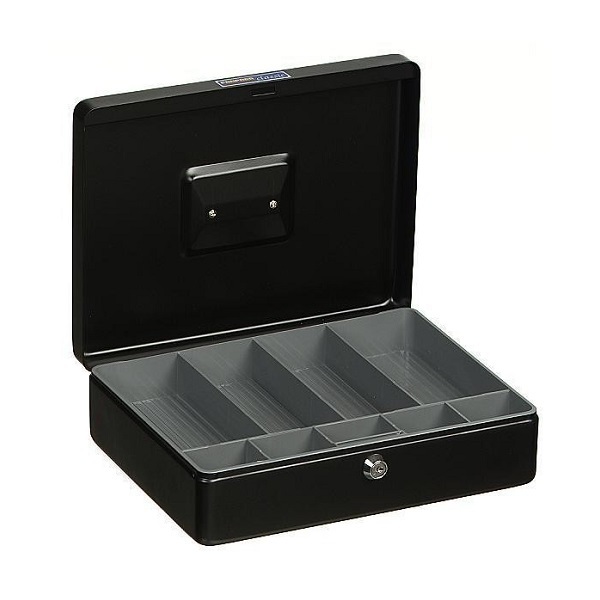 Complete with partitioned tray with 9 coin compartments. 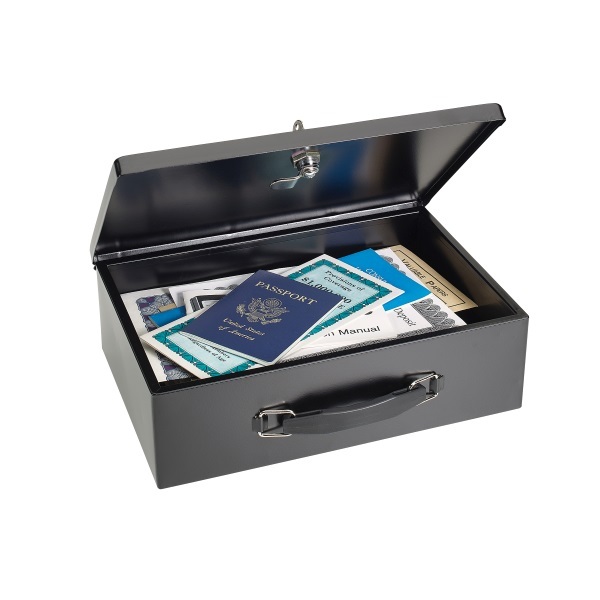 Perfect for protecting important documents and heat sensitive valuables. 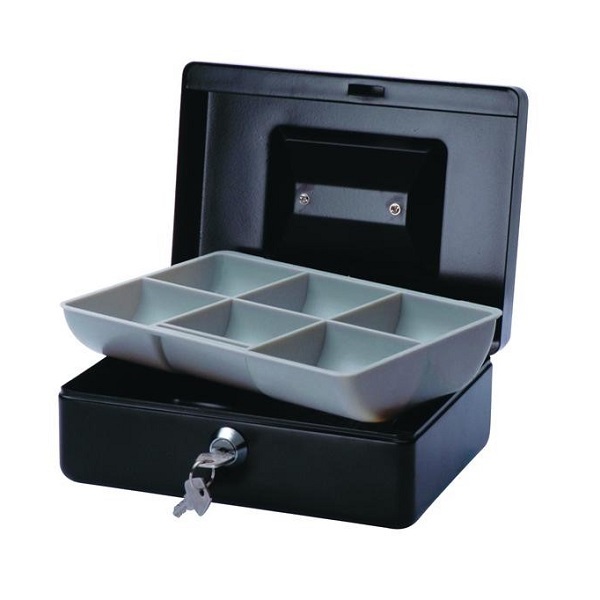 Large chest size to accommodate deeds, file folders, paper and envelopes, without having to fold them. Constructed of durable heavy-gauge steel and engineered with double-insulated walls to protect contents from fire damage. Fire retardant to 399 °C (750 °F) for 15-20 minutes. 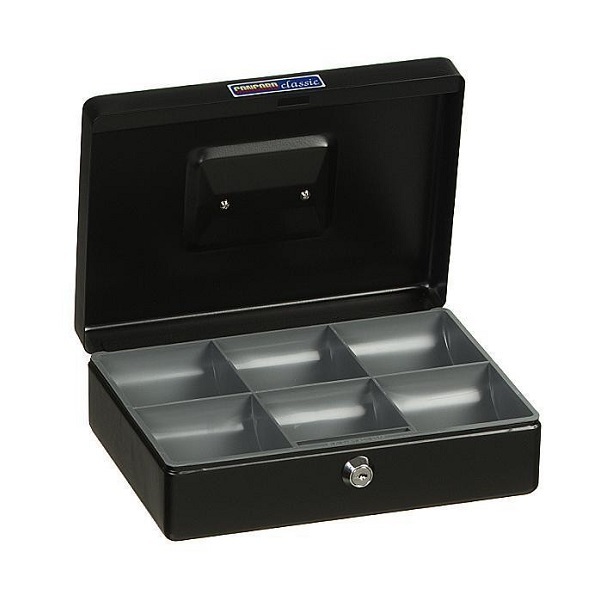 Features a sturdy locking key latch to keep box closed with two keys supplied.